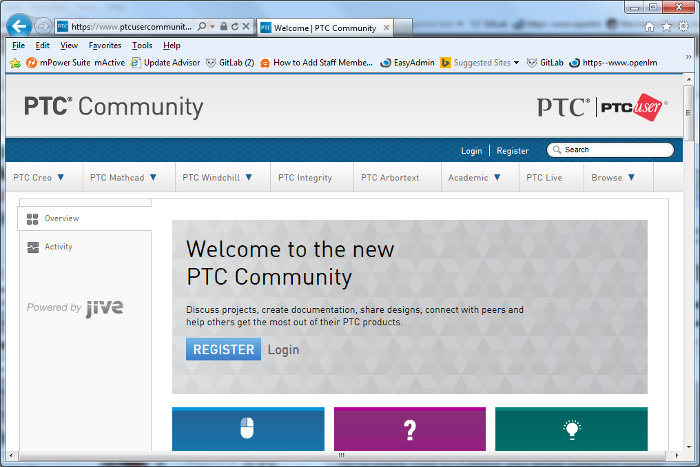 As most of you are aware we’ve been talking a lot about our upcoming migration, moving your public discussions and account information from the PTC/USER portal into PTC Community, our new destination for discussions about PTC products. We’ve been pleased to see that a number of our regular discussion contributors have been actively getting involved in the conversations at our new community and encourage all of you to test out the new tools before we migrate all of the existing discussions later this month. If you have an account on both PTC/USER and PTC Community, please make sure you review your account details to ensure that the “Private Email” field on your PTC/USER Profile page matches the “Email” field on your PTC.com account management page. This will greatly help the accuracy of our data migration. The discussion content listed in the topics above will be migrated to either a top level PTC Product Community or within a secondary level (Product Sub-Community). For example: if you’re interested in a discussion that was previously posted within the Creo Machining (Pro/ENGINEER CAM) topic, it will now live within the PTC Creo > Manufacturing sub-community. This should give everyone a good understanding of which PTC Product Communities and Sub-Communities to Follow for relevant topics of interest. We also want to let you all know that as a result of our migration to the PTC Community we will no longer be utilizing the email listservs you’ve come to know as the Email Exploders. We’ll be turning off these email addresses on the day of our migration and all new discussions and replies will need to be added by visiting the PTC Community site. I understand this is a bit of a change in user behavior and would encourage all of you to visit the new site to get familiar with the posting tools and documentation on how to setup your email notifications in advance.